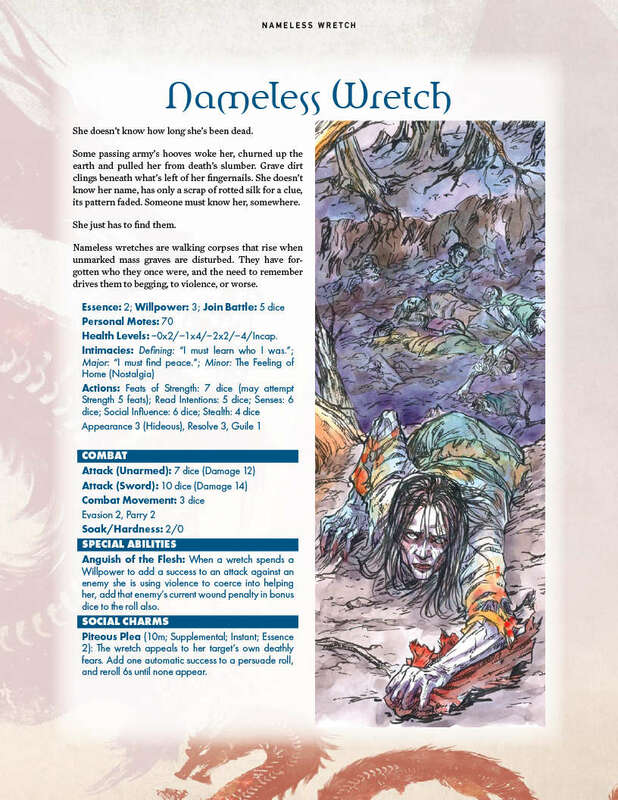 Now available in PDF from DriveThruRPG: Hundred Devils Night Parade part 10: Dream Hawk and Nameless Wretch for Exalted 3rd Edition! 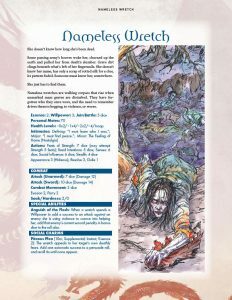 The Dream Hawk and Nameless Wretch are fantastic additions to your Exalted game. 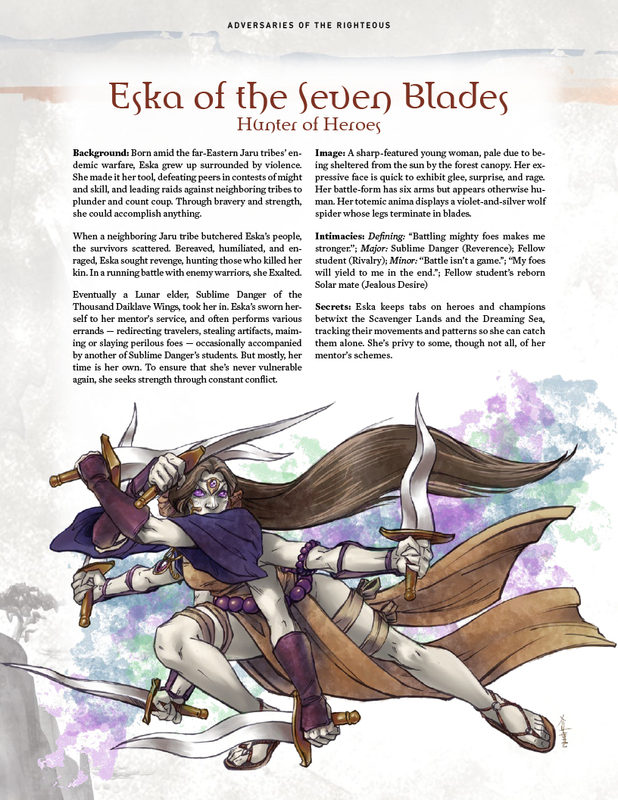 Also available in PDF: Adversaries of the Righteous part 5: Eska of the Seven Blades! The full Trinity Continuum core rulebook has been previewed, and the first five parts of the Æon book has been previewed. The final part, Setting Secrets, gets posted tomorrow. 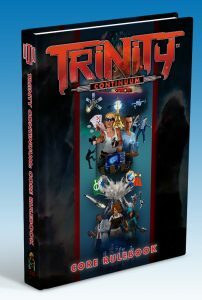 The 1E Bundle has added Hidden Agendas, Luna Rising: Psi Order ISRA & Luna Sourcebook, America Offline: Psi Order Orgotek & FSA Sourcebook, Terra Verde: Psi Order Norça & Sudamérica Sourcebook, Shattered Europe: Psi Order Æsculapians & Europe Sourcebook, Stellar Frontier: Psi Order Upeo wa Macho & Extrasolar Space Sourcebook, Aurora Australis: Psi Order Legions & Austronesia Sourcebook. 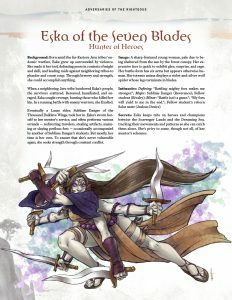 That’s 16 PDFs for $15! Vampire: The Masquerade: Chronicles of the Blood Moon 2: GHOULS! Vampire: The Masquerade: Les Chroniques de la Lune de Sang 2: GOULES! That first link takes me to a W20 supplement. Ugh, WordPress keeps reverting changes I make for no reason. One sec, I’ll fix.